Tottenham boss Mauricio Pochettino admitted his frustration after Belgium coach Roberto Martinez leaked information to the media about Jan Vertonghen. The Spurs centre-back picked up a hamstring injury during a 2-0 win against Huddersfield last weekend which saw him miss the team’s midweek Champions League clash against Barcelona. The 31-year-old has been a fixture in Pochettino’s starting line-up at the start of the 2018-19 campaign, which has been very up and down for the Lilywhites. Tottenham are joint fourth in the Premier League table and four points behind joint leaders Manchester City and Liverpool, but they have lost their opening two games in Europe which has left them a mountain to climb in pursuit of a place in the last-16. 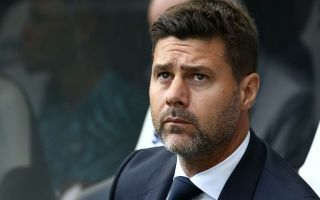 Next up for Pochettino’s men is a clash with Cardiff City on Saturday and speaking ahead of the game the Argentine boss ranted about the fact that Martinez went behind his back to reveal the extent of Vertonghen’s injury publicly. “It’s so difficult to communicate with all the national teams,” the 46-year-old angrily told reporters, as per the Evening Standard. “Look at now: before my press conference, you knew about the Vertonghen situation because Roberto told the media in Belgium before us. With Vertonghen missing in the heart of defence against Barcelona, the Spanish champions put four past Tottenham at Wembley and looked all over the place at the back. Cardiff may be languishing at the foot of the table at the moment but they will surely try to take the game to Spurs this weekend in search of a vital three points in North London and the hosts will have to be more organised in order to stop them. However, Tottenham fans will be hopeful of a comfortable win to keep up their title charge going into a busy period of fixtures over the next few weeks.